Explore the natural and cultural riches of Armenia, Georgia and Azerbaijan to discover a complex mix of religion, art and architecture. Nestled between the Black and Caspian Seas, and surrounded by the former Russian, Persian, Ottoman and Byzantine empires, the peoples of the Caucasus have developed proud, independent traditions of their own, with a rich and complex mix of religion, language and art that has fired the imagination of travellers for centuries. 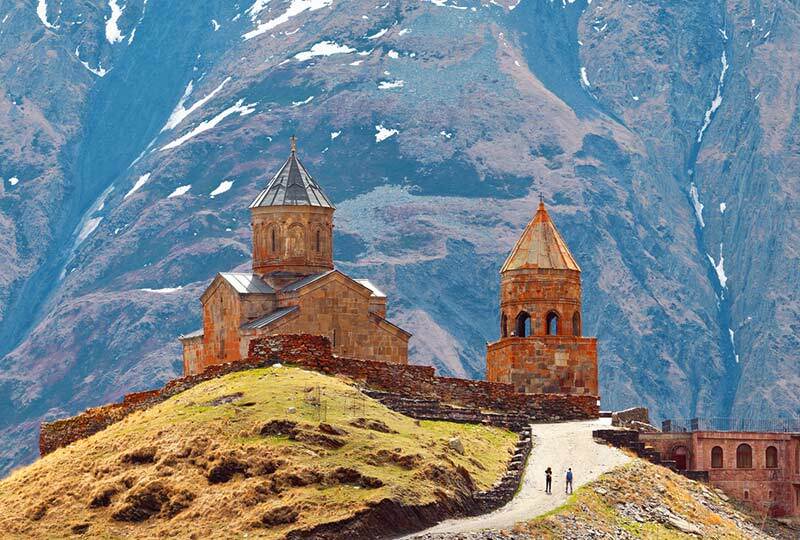 Discover the sacred Byzantine monasteries and churches of Armenia, wander the galleries and museums of Georgia, and explore the old palaces, mosques and markets of Azerbaijan. 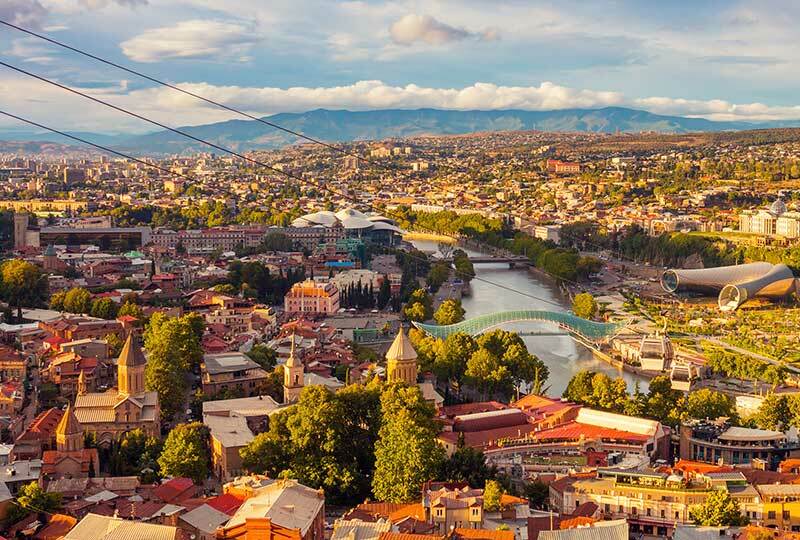 Visit today’s three capitals of Yerevan, Tbilisi and Baku and enjoy the fascinating blend of ancient tradition and contemporary cosmopolitan life. 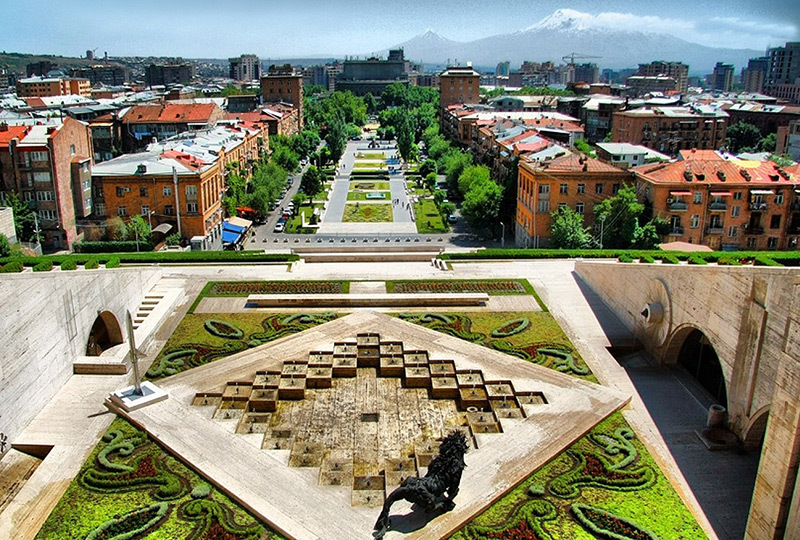 Depart Australia or New Zealand on suggested Emirates or Qatar Airways flights to Yerevan. Renaissance Tours or your travel agent can assist you with your flights and other travel arrangements. Arrive in Yerevan, the capital of Armenia, and transfer to the hotel for check-in. Join Liz and fellow travellers for a welcome briefing, followed by a special welcome dinner. Following a morning talk by Liz, walk to the National History Museum for a guided tour. Founded in 1919, the museum displays a unique archaeological and ethnographical collection of 400,000 objects and presents the history and culture of Armenia from Palaeolith to the present day. After lunch, explore the Armenian Genocide Memorial Complex overlooking the city. Visit the impressive museum directly built into the side of a hill in 1995 to commemorate the 80th anniversary of the genocide. The remainder of the afternoon and the evening are at leisure to further explore Yerevan or enjoy an optional concert at the Armenian National Opera & Ballet Theatre. This morning, enjoy some free time to explore the Vernissage open air flea market, displaying a large range of traditional Armenian handicrafts, souvenirs and artworks. Continue to the National Art Gallery for a guided tour of the collection. Located on Republic Square, the gallery houses a significant collection of Armenian, Russian and Western European art and is considered the country’s major art gallery. After some free time for lunch, visit the Matenadaran, a rich repository of medieval manuscripts, and continue to the Martiros Saryan House Museum presenting the life and works of one of Armenia’s most beloved painters. Then, enjoy an evening reception at the Sergey Parajanov Museum in a traditional Caucasian-style noble house, with a unique collection of lively and diverse art forms created by Soviet Armenian film director and artist Sergey Parajanov. Enjoy a morning visit to the 1st century Hellenistic Garni Temple, Armenia’s only surviving pagan temple. Continue to the nearby Geghard Cave Monastery, built into towering basalt cliffs and founded in 4th century by Gregory the Illuminator. After lunch, visit Etchmiadzin, the mother church of the Armenian Apostolic Church. Return to Yerevan in the late afternoon and enjoy some time at leisure to visit the Yerevan Cascade, a popular meeting place for locals with an impressive display of international sculptures donated by the Cafesjian Centre for the Arts. Depart Yerevan and drive to the Artashat archaeological site, a large commercial city and the capital of the Kingdom of Armenia. For over 600 years, Artashat was one of the most important cities of the East and remained a primary cultural and political centre until the 4th century. Continue to Khor Virap monastery, where Saint Gregory the Illuminator was imprisoned. Saint Gregory was responsible for Armenia becoming the first Christian nation in 301. Visit the monastery and enjoy the view to Armenia’s beloved Mt Ararat, located in Turkey. Enjoy a picnic lunch and then drive to the mountain spa town of Jermuk. 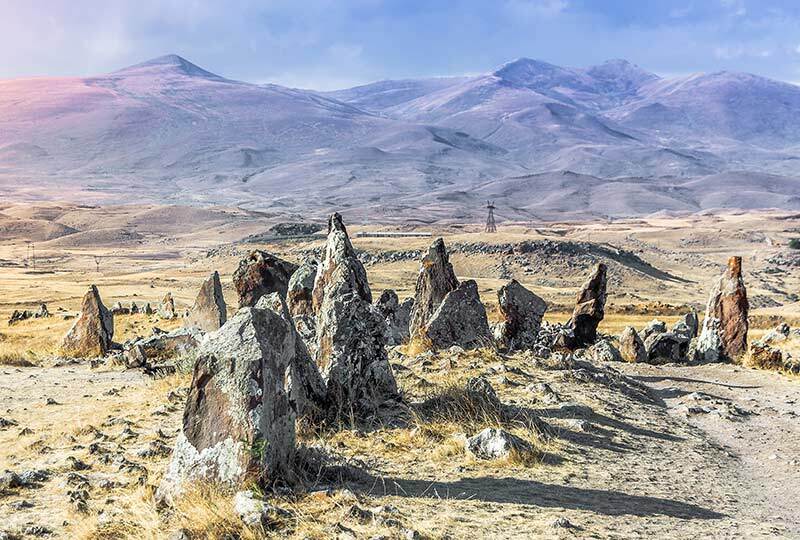 This morning, drive to ancient Karahunj (Armenian ‘Stonehenge’) with over 200 Menhirs (standing stones). Continue to Vorotan and take a cable car across a spectacular deep gorge to the 9th century Tatev Monastery ensemble, located on a large basalt plateau. Enjoy time at leisure in this peaceful complex, with views over the Canyon of the Vorotan River. Return by cable car to Vorotan and continue to Goris for a night at a charming local hotel. Depart Goris in the early morning. After lunch by the Orpa River in Vayk, drive through the Selim Pass and stop at the 14th century Caravanserai on the Armenian Silk Road. Continue past Lake Sevan, the largest lake in the Caucasus, to Dzoraget located on the banks of the River Debed. 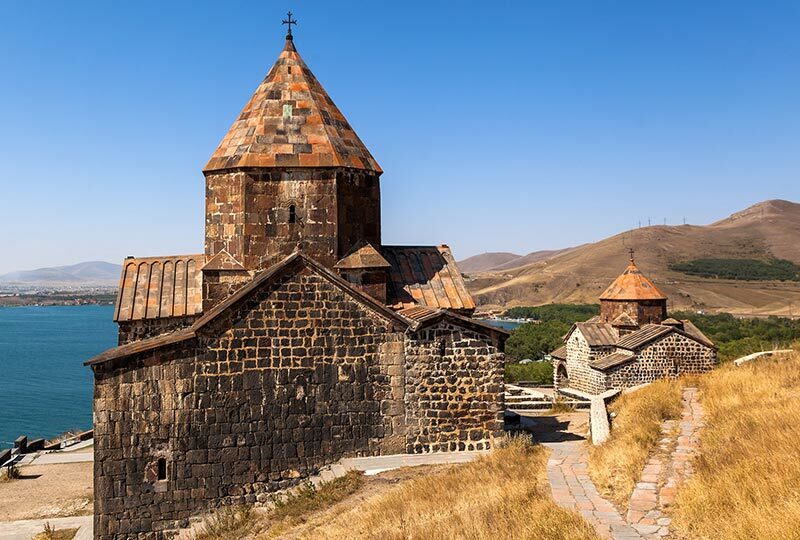 This morning, discover the striking 10th century basalt Haghpat Monastery, a beautiful blend of Byzantine and traditional Caucasian architecture. Also see some impressive medieval Khachkars (Armenian cross stones). After lunch, drive to the Georgian border and continue to Akhaltsikhe, Georgia. Check in to the hotel, our base for the next two nights. Today, travel to the extensive remains of the Vardzia cave monastery located on the Kura River. The highlight monastery is the 12th century Church of the Dormition with an outstanding series of frescos depicting aspects of the Golden Age of Georgia, including paintings of Georgia’s beloved Queen Tamar. After lunch, return to Akhaltsikhe to explore the medieval Rabati Castle complex, once capital of the Georgian feudal principality of Samtskhe. This morning, depart Akhaltsikhe for the town of Gori, an important military stronghold in the Middle Ages and birthplace of Joseph Stalin. Following a brief visit to the Stalin museum, continue to the 17th century Ananuri architectural complex, overlooking the Zhinvali water reservoir. 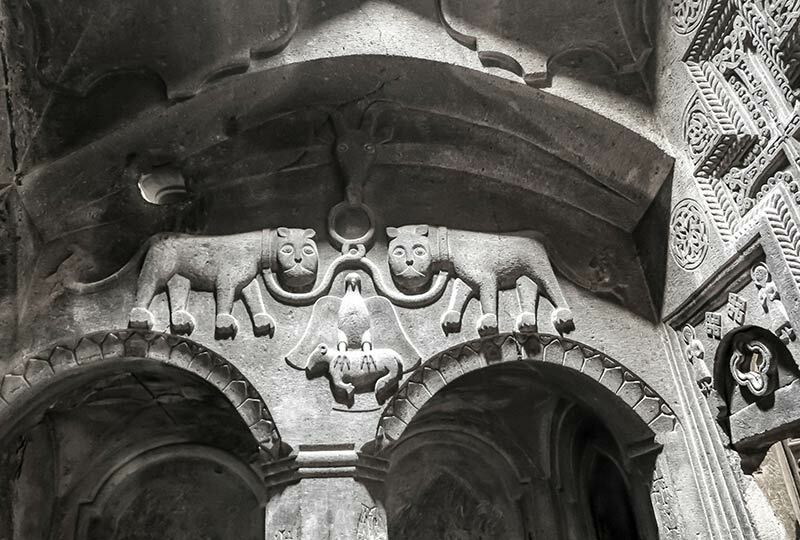 The carvings on the two Ananuri churches are some of the finest examples of Georgian art. Enjoy a picnic lunch and then drive along the Georgian Military Highway, through the spectacular High Caucasus Mountains to Kazbegi. Dinner is at the hotel. After breakfast, enjoy a 4-wheel drive up to the picturesque 14th century Gergeti Trinity Church (weather permitting), perched on top of a steep mountain looking up to Mount Kazbegi. Drive back along the Georgian Military Highway to the ancient capital and religious centre of Georgia, Mtskheta (3,000 years old), one of the world’s oldest continuously inhabited cities. After free time for lunch, visit the 11th century fortified Svetitskhoveli Cathedral – the headquarters of the Georgian Orthodox Church – and the nearby 6th century Jvari Monastery perched on a rocky mountaintop, overlooking the Mtkvari and Aragvi rivers. Continue to Tbilisi and check in to the hotel, our base for the next three nights. The evening is at leisure. Following a morning talk, begin your exploration of Tbilisi. Drive to the 13th century Metekhi Church and nearby equestrian monument of Tbilisi’s founder, King Vakhtang I Gorgasali. After lunch, enjoy a walking tour through the Old City to see the Mosque, Orbeliani Baths and Synagogue. After lunch, explore the Old Town, with visits to the Sioni Cathedral housing the Cross of St Nina – who introduced Christianity to Georgia in 327 – and the 6th century Anchiskhati Basilica, the oldest surviving church in Tbilisi. The remainder of the afternoon and the evening are at leisure to continue your exploration of Tbilisi at your own pace. Begin with a morning visit to the Simon Janashia Museum of Georgia to see its exquisite gold treasures. The Museum houses hundreds of thousands of artefacts from the Caucasus’ archaeological and ethnographic antiquity. Valuable exhibits include the Homo Ergaster fossils discovered at Dmanisi, and the 5th century BCE Akhalgori hoard which contains unique examples of jewellery blending Achaemenid and local styles. In the afternoon, visit the Art Museum with its collection of precious religious objects, including the iconic 12th century cross of Queen Tamar, as well as a collection of Russian and European Art. Continue to the National Gallery of Art with a focus on Georgian art including the work of the renowned late 19th/early 20th century “primitivist” painter, Niko Pirosmani. Enjoy a morning at leisure to further explore Tbilisi. In the afternoon, depart Tbilisi for Kakheti, Georgia’s easternmost region. Drive to the charming hilltop town of Sighnaghi, which overlooks the Alazani Valley towards the snow-capped Greater Caucasus mountains. Tonight, enjoy dinner and a wine tasting. This morning, drive to Alaverdi and visit the 11th century fortified Cathedral of St George, the tallest cathedral in Georgia. Continue for a photo stop at the 16th century royal citadel of Gremi, once capital of the Kingdom of Kakheti, and a lively trading town on the Silk Road. Enjoy some famous Georgian wine with lunch in Kakheti’s Khareba Winery, located in the heart of the world’s oldest wine region. Continue to the Georgia/Azerbaijan border crossing and checkpoint. Following visa and passport formalities, drive to Sheki in Azerbaijan. Sheki, once a famous city of craftsmen and merchants, is located in a picturesque mountain setting. 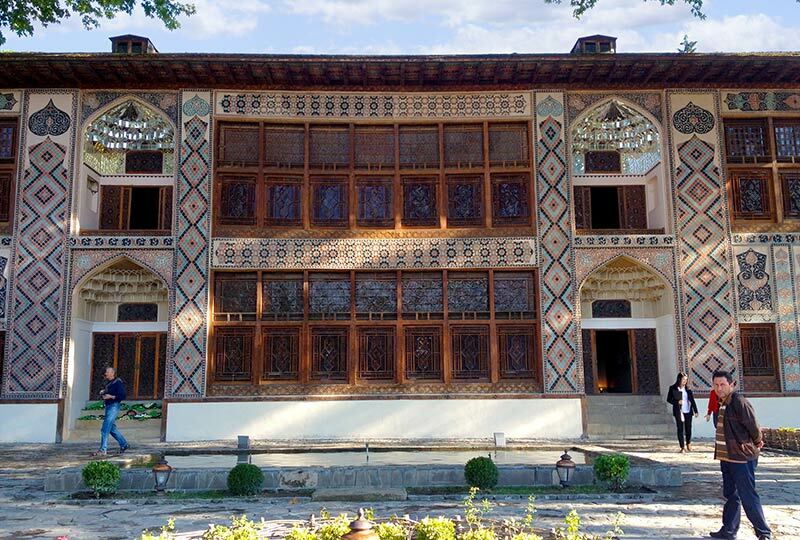 This morning, visit the 18th century Persian-style Summer Palace of the Sheki Khans, renowned for its colourful frescoes, stained glass and mosaic tiles. Following a short visit to an old caravanserai (now a hotel) and to the bustling local Sheki market, travel through the Muganly Mountain Pass to Shamakhi, an old royal seat and one of the key towns on the Silk Road through the Caucasus. See the recently rebuilt Friday Mosque – originally built in the 8th century – and a group of 19th century Islamic tomb towers, set amidst a field of much older gravestones. After lunch, drive to Baku, capital of Azerbaijan, and check in to the hotel, our base for the next three nights. Following a morning talk, enjoy a walking tour of the old walled city constructed in local almond-coloured limestone. Visit the 15th century Shirvanshakh Palace with its divankhana, mausoleum, mosque and bath-house, and continue to the 12th century Maiden’s Tower, ancient hamam, bazaar and caravanserai. 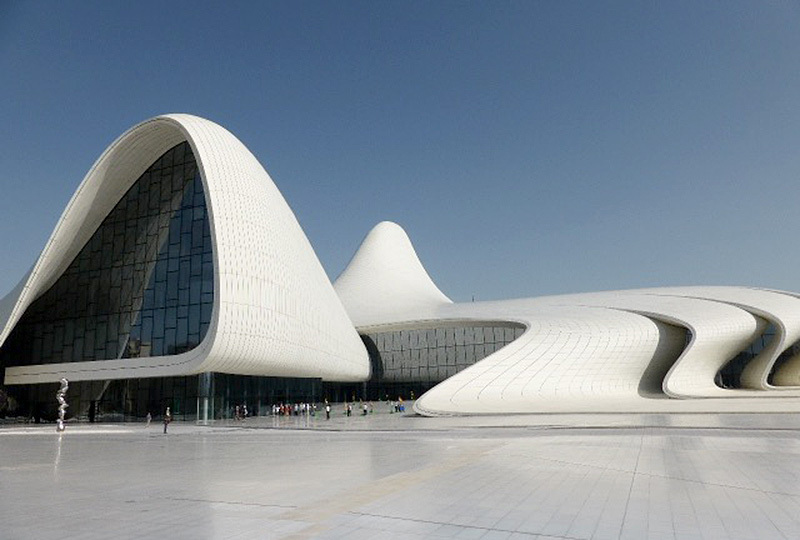 After lunch, visit the Heydar Aliyev Cultural Centre, housed in a striking building designed by Iraqi/British architect Zaha Hadid. The evening is at leisure to continue your exploration of Baku at your own pace. Today, drive to Gobustan Rock Art Cultural Landscape – a UNESCO World Heritage Site. View the excellent museum and the vast collection of prehistoric petroglyphs in situ, dating from 10,000 BCE. Enjoy an afternoon at leisure to visit the National Art Museum with its collection of European, Russian and Azerbaijani art. The Museum of Modern Art features works by Azerbaijani artists or the new Azeri Carpet Museum, designed to resemble a rolled-up Azeri carpet. Tonight, celebrate the conclusion of the tour with a special farewell dinner with Liz and fellow travellers in the Old City. If you are returning home today, tour arrangements conclude with a transfer from the hotel to Baku International Airport for the suggested afternoon flight on Emirates or Qatar Airways for Australia. Azerbaijan – Australian and New Zealand passport holders require a tourist visa. Visas are obtained online prior to departure. Renaissance Tours will assist you with the application process. 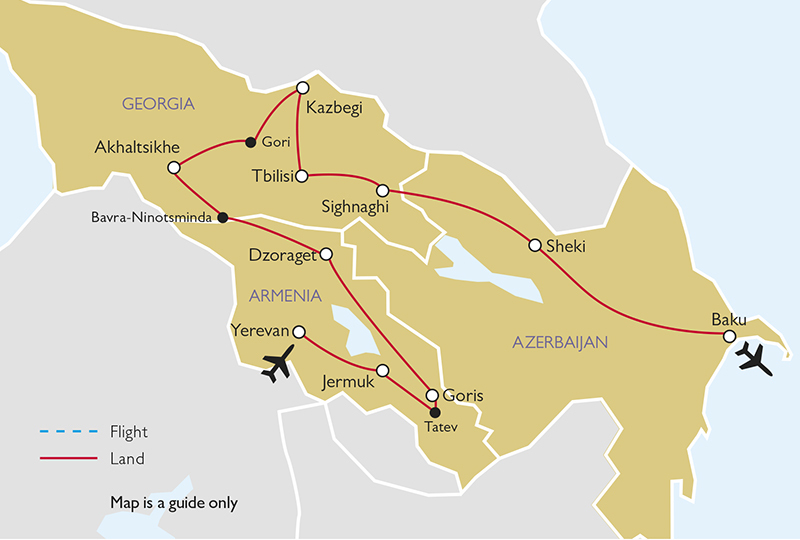 Georgia and Armenia – No visa required for Australian and New Zealand passport holders.